In December 2015, FBSerwis S.A. completed its Microsoft Dynamics NAV implementation. 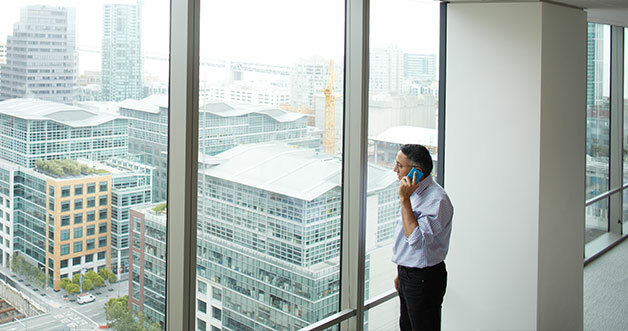 As one of the first companies in Poland, it implemented the ERP system on the scalable Microsoft Azure cloud. System implementation was delivered by the Gold Microsoft Dynamics Partner – IT.integro. Established in 2012 by Budimex S.A. and Ferriovial Services International Ltd, FBSerwis S.A provides comprehensive services in the field of facility management, plant and infrastructure maintenance as well as environmental services and energy efficiency. The company is a pioneer within the SmartCity Plan service area. Collectively, FBSerwis manages an area of over 1 mln m2 both for the public and private sector and maintains more than 900 km of domestic roads and motorways. The company operates on the basis of many years’ international experience of Ferrioval, a provider of integrated infrastructure management services. The company operates in 25 countries and employs a staff of 57,000. 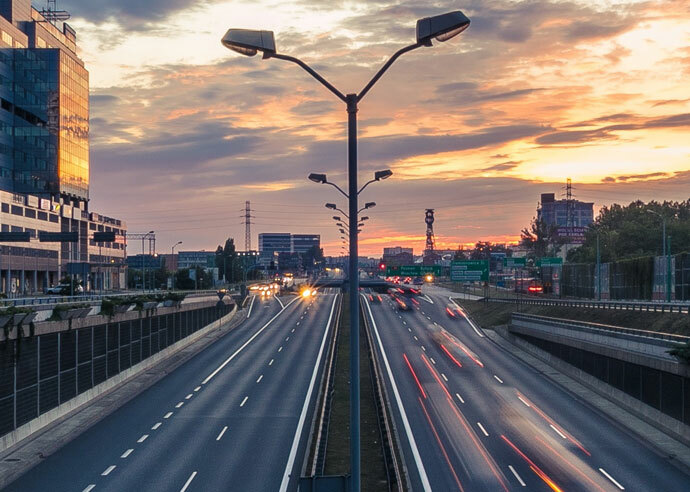 FBSerwis customers include PL2012 + (the National Stadium in Warsaw), Port of Gdansk Authorities, General Directorate for National Roads and Motorways, Communal Infrastructure and Transportation Directorate in Cracow, the Auchan Hypermarket chain and ING Bank Śląski. . The company’s growth and increasing organisational needs convinced its board to implement an ERP system. The following issues were critical to decision-making at this point. Microsoft Dynamics NAV implementation in FBSerwis SA coincided with the acquisition of several new companies, operating as separate legal entities` within the FBSerwis Group. Beside overwhelming challenges (which are typical for such projects), one of the main project objectives i.e. maximised data unification, which was to result in more efficient and effective reporting in the whole group has been fulfilled,’ says Andrzej Krawiec, Implementation Project Manager at IT.integro. FBSerwis S.A. has a complex structure. It consists of five companies. Previously, each of them would use a different system. ‘Easy data migration was a critical factor for making a decision on ERP system selection. Our growth is to be driven by distribution. It was important for us to make the process of adding new companies as simple as possible and eliminate any limitations. In 2015, we purchased a new company, which we had to upgrade to Microsoft Dynamics NAV from its previous archaic financial and accounting system. This year, we acquired a next company, and in April we are going to proceed with data migration to the ERP system,’ says Michał Parafiniuk, CFO, FBSerwis S.A. With our previous experience from Dynamics NAV implementation projects, I feel at ease with the following four deployments. It is not a problem that this will happen during the financial and accounting year. The tool for historical data migration offered by Microsoft Dynamics NAV is a very good one. Its flexibility is a great system benefit,’ he says.. Previously, FB Service S.A would outsource its accounting needs. However, its growth brought about the need to gain full control over its accounting processes and move all accounting operations into the organisation. FBSerwis was established in 2012, but it decided to implement its own ERP system as late as in 2015. This was due to the scale of its operations, which initially were limited. In 2013 and 2014, company turnover was low, therefore establishing an own accounting department was not economically reasonable. As the company grew, using outsourcing services turned out to be inefficient. Additionally, new needs emerged, such as an invoicing module, which had never been used before and is available in Microsoft Dynamics NAV. Previously, all invoices would be created in Excel and the outsourcing company would enter them manually into the system. The company’s future and projected growth were critical to the selection of an ERP system. In 2014, FB Service achieved turnover of 40 million zloty, which then jumped up to 100 million in 2015. Each year, it increases its sales and expands its operations. When making a decision on the ERP system, the company considered its development over a period of several years. One of the most critical aspects for selection of an ERP system and implementation partner was the availability of solutions which would enable the improved management of paper documentation and applications, which allow users to create detailed, coherent analyses and reports. 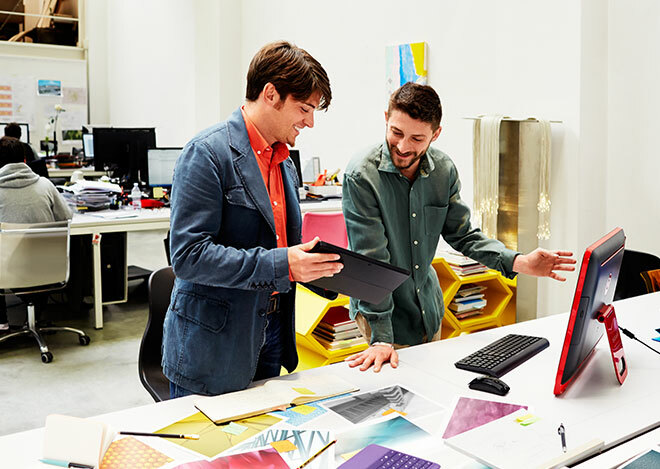 In addition to Microsoft Dynamics NAV, the company’s board decided to implement the Document Capture software based on OCR technology, BI tools, Jet Enterprise and Master Data Management System (MDMS). The ccompany’s growth led to the implementation of the ERP system. Its complex structure was an additional deciding factor. The decision was made to choose 2015 Microsoft Dynamics NAV. The company decided to implement infrastructure based on Microsoft Azure, which ensures scalability and high efficiency. Additionally, NAV 2015 fulfilled all business requirements, including the objective to implement a modern and functional solution ensuring comprehensive support for business processes in all business areas..
High efficiency was one of the main FBSerwis requirements regarding the ERP system. The investment was to ensure that the system would grow with the organisation, ensuring reliability, no matter whether it is used by 15 or even 200 and more users. Microsoft Dynamics NAV proved to be a response to these requirements. With its three-level architecture, it successfully supports installations for 500 concurrent user’, says Przemysław Kniat, Sales Manager at IT.integro. 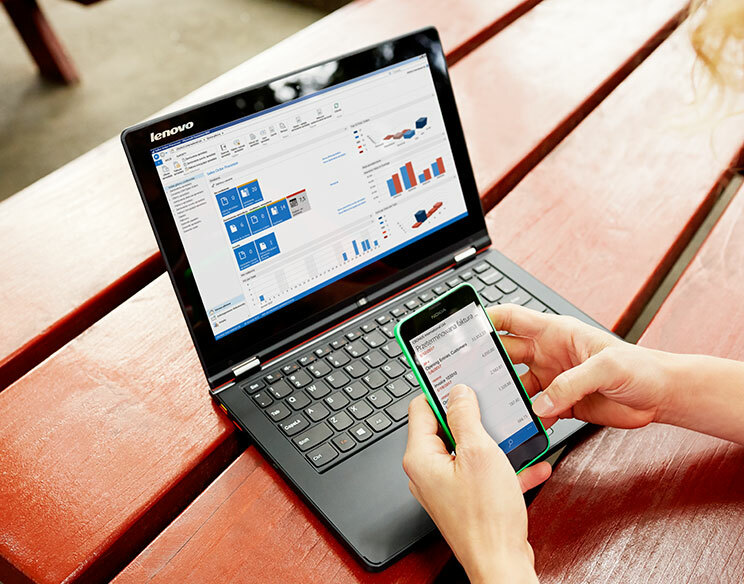 In FBSerwis, Microsoft Dynamics NAV was implemented in the areas of accounting, payment, controlling, purchases and sales as well as warehousing, budgeting and consolidation. Additionally, workflow (Document Capture) and BI (Jet Enterprise) solutions as well as Master Data Management System were implemented. Among the solutions which were implemented, Document Capture – a document management software based on OCR – was of great significance for the company’s board. The solution is integrated with Microsoft Dynamics NAV and enables the company to register scanned ERP invoices and documents as soon as they are received. Document Capture streamlines company workflows by automating approval processes. At the customer’s request, IT.integro customised the solution by creating several hundred alternative approval paths, which are automatically triggered by the system. The system is used by account managers operating countrywide. 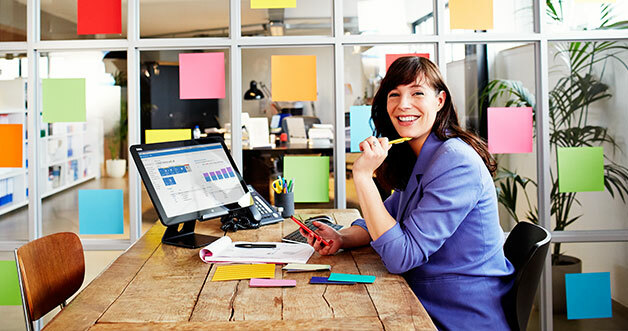 Document Capture simplified and streamlined document processing. The capability of creating coherent and real-time analyses based on a single database was the next area that FBSerwis considered important. Previously, project managers would create their reports based on multiple databases with non-standardised data. Jet Enterprise is based on one data warehouse, integrated with the ERP system, which enables the user to create complex analyses in a very short time. Before this, raw data generated by the system of the outsourcing service company was used. Presently, when creating reports, FBSerwis uses Microsoft Dynamics and Jet Reports. ‘Jet Reports tools are very important for us. We created a report list, which we wanted to record using the software. We are planning to share these reports within the organisation to make them available to account managers at any time and enable our employees to validate an invoice status and approval phase for a document. This will empower them to control ongoing processes. We also intend to limit access to reports in order to ensure that only authorised users can access defined datasets. Jet Reports provides many capabilities. 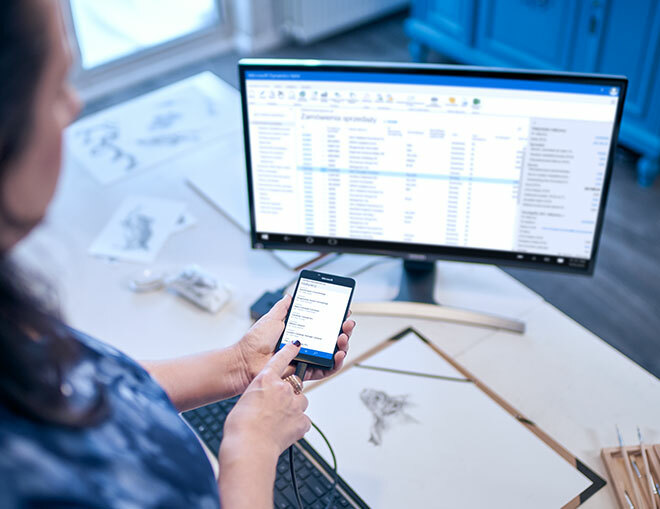 It comprises a huge set of standard cubes, which addresses most of our requirements ‘, says Michał Parfiniuk..
FBSerwis combines several business entities sharing one Microsoft Dynamics NAV platform. In order to maintain the consistency of the data shared (in particular, the chart of accounts, dimensions as well as customer and item data ) between various groups within the company, FBSerwis decided to use the IT.integro’s own solution – MDMS (Master Data Management System). ‘All shared card data is entered by authorised users into the Microsoft Dynamics NAV central database, and then the MDMS module automatically synchronises records within subsidiaries. The use of MDMS has brought many benefits including savings in time (due single data entry) and eliminated errors which might appear when the same data is entered multiple times by different users. MDMS has also improved the analysis and BI reporting process by assigning identical master data indexes for items, customers and vendors used by different subsidiaries. The MDMS module automatically prevents the loss of data consistency, because synchronised fields can be edited only at the level of a central database’, says Paweł Bartos, IT.integro Senior Consultant. According to Michał Parafiniuk, a shared database for customers and vendors is an additional benefit. It is possible to generate vendor sales records for the whole group. In order to check the sales total, the user no longer needs to analyse records in several systems. All records are totalled in Microsoft Dynamics NAV. Using one standardised database, you can negotiate better discounts. FBSerwis was one of the first Polish companies which decided to implement Microsoft Dynamics NAV based on the Microsoft Azure infrastructure. This solution was ideally tailored to the specific profile and business model of the organisation. The cloud computing platform ensures comprehensive support for the company, not limiting its growth. Additionally, it enables a fast development of the system and its capabilities. The decision to choose a cloud platform was driven by its flexibility and lower maintenance costs compared to the purchase of servers. 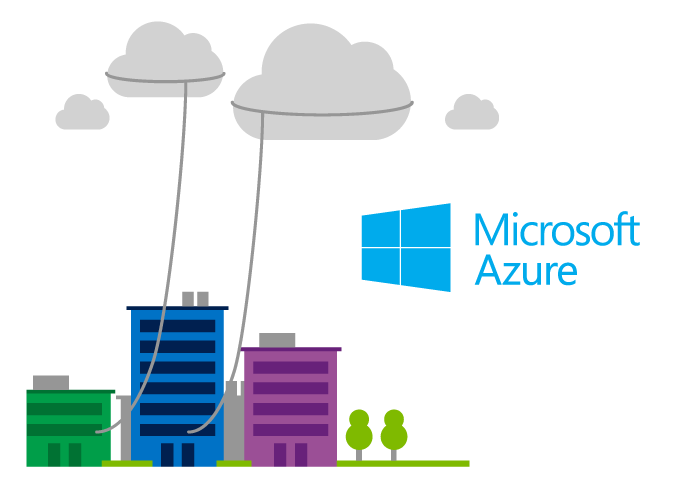 The Microsoft Azure platform fits ideally into FBSerwis’s requirements on the infrastructure required to run the Microsoft Dynamics NAV. On the one hand, it enabled us to limit purchase-related costs and maintain our own servers, on the other, it ensures unlimited scalability for efficiency setup adjustment at any time. 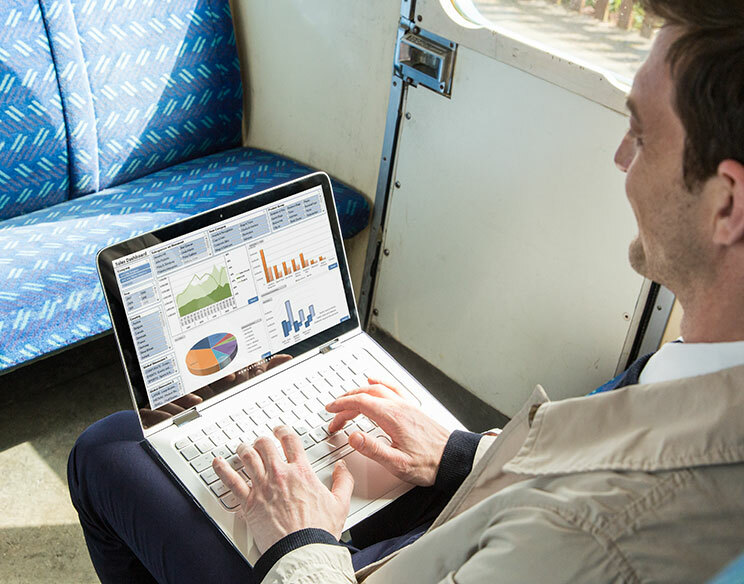 Taking into account the intensive growth we had planned, this Microsoft Azure feature turned out to be critical when selecting the environment’, says Przemysław Kniat. The ERP system implementation in FBSerwis took 8 months. It was completed in December 2015. The project was contracted to IT.integro, the leader in Microsoft Dynamics NAV implementation in Poland. We preselected three potential vendors. IT.integro was one of them. We chose the company to manage the implementation project due to their dedication, efficient negotiation process and huge support at the decision-making phase’, adds Michał Parafiniuk. The implementation project was delivered based on the Microsoft Dynamics Sure Step methodology and divided into phases including analysis, project, design, deployment and operation. At the initial phase, a Steering Committee and FBSerwis and IT.integro’s project teams were created, with members responsible for specified activity areas. 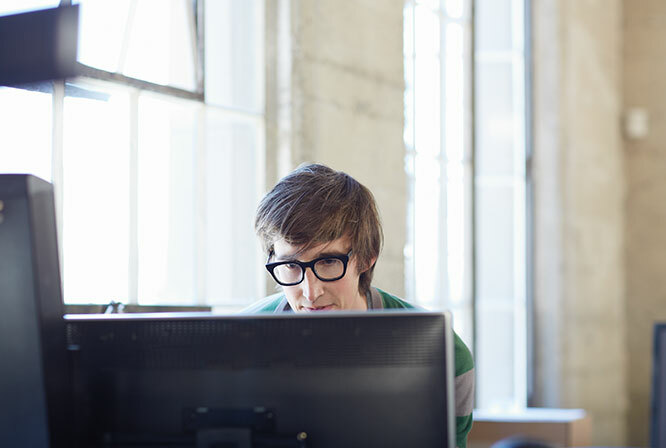 Microsoft Dynamics NAV was deployed at the beginning of October. The final touches and the project as a whole were completed in December 2015. The group project in FBSerwis was completed successfully. The solutions implemented bring measurable benefits to the company. To accomplish this aim, it was necessary to implement common working patterns. In my opinion, process unification should be one of the main objectives in group projects. This, in itself can be an objective, however it is also a key success factor and method for accomplishing other targets of the ERP system implementation ,’ says Andrzej Krawiec.’ In this case, it was necessary to design work patterns for all consolidated companies, and also for FBSerwis itself. The lack of an IT system when confronted with the formula of “subsidiary-based” activity resulted in a huge discrepancy between organisational schemes and working rules in different subsidiaries. This was the element we focused on in the analysis and design phases. The process list which we developed with the Customer’s project team has been implemented. Microsoft Dynamics NAV has already been supporting this list for several months,’ says Andrzej Krawiec.